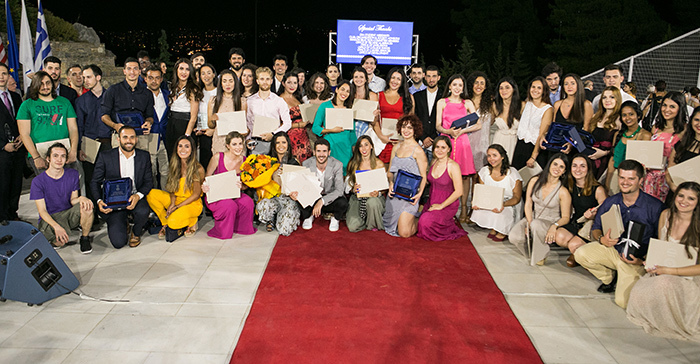 Last night, Wednesday June 23, we celebrated dozens and dozens of deserving students and awarded them for their academic and student-life achievements at the 18th Deree Student Awards Ceremony. Students’ families and friends, as well as ACG faculty and staff, filled the Irene Bailey Theater to celebrate on an evening dedicated to honoring achievements and relationships, as President Horner said referring to the contribution of educators and peers in each student’s accomplishment. From the Outstanding Graduate, the Internship, and Study Abroad awards, to the Society of the Year and College Life Spirit awards, more than 120 students were cheered on for their accomplishments in sports, parallel study, scholarships, and so much more from their experience at Deree! 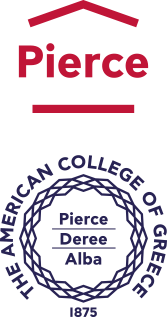 The 2016 Student Awards Ceremony highlighted the accomplishments of students who shined academically, creatively, and morally this year; students who have made the most out of their experience at Deree by challenging themselves, and who have made a lasting difference as active members of the ACG community. Congratulations to all the student award-winners! On to the next milestone, just a few days away: Graduation!